Below is a matrix illustrating the “cycling eco-system” in Christchurch (click to enlarge). 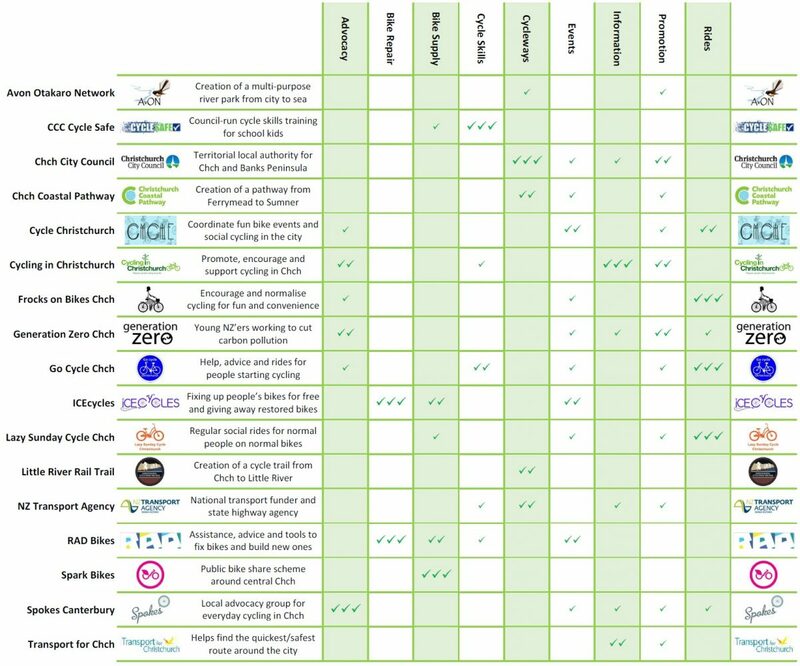 It lists the main groups and initiatives that cover everyday biking in some form and indicates what the main cycling-related activities of each one are (acknowledging that some of these entities deal with much more than just cycling). If you want to know more about any of them, just Google them – or you can probably find them on our Useful Web-links page. My apologies in advance if I have misrepresented the objectives and focus areas of any of these groups. There are other individuals who run cycling activities, such as the annual Winter Solstice Ride led by Ian Wells, and the efforts of various people at our tertiary institutions to encourage more biking there. Other local agencies also contribute to the biking picture. For example, Environment Canterbury provide bike racks on buses, and the Canterbury District Health Board encourage healthy living and active transport. There are of course plenty of bike retailers around the city who supply and repair bikes. And there are also a number of businesses that provide cycle hires as well. 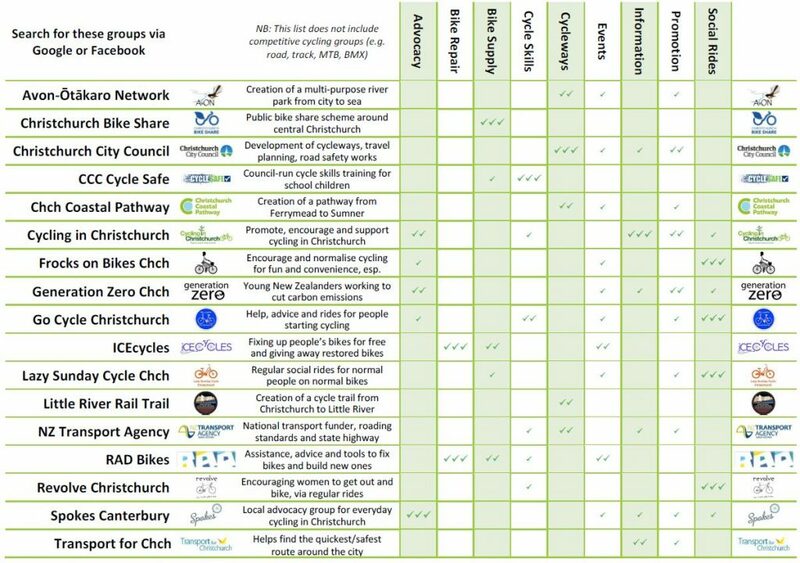 There are also plenty of people and groups managing and supporting other forms of cycling around Christchurch, including mountain-biking, road cycling, and BMX riding. Have I missed anyone else out? So what’s not well represented in Christchurch? Personally I’d say that we’re still missing out on more organised adult cycle skills; if we’re going to grow cycling numbers in Chch then plenty of people will want/need to brush up on their biking ability. And while there’s already some pretty good communication between many of the groups (e.g. sharing use of our Events/Activities Calendar), a bit more coordination and promotion at the bigger picture level with CCC and NZTA wouldn’t go amiss to help let more people know about all the great stuff that’s already happening. Have we covered everything/everyone involved in Chch everyday cycling? What’s missing? 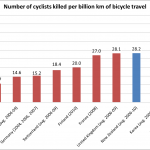 Next Next post: Is Christchurch cycle-friendly enough?